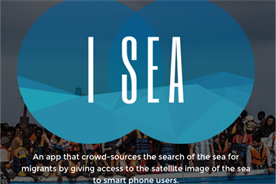 Grey for Good has returned the bronze Lion it won at Cannes for its refugee-spotting app I Sea, while insisting it did nothing wrong. Could greater transparency help avoid such situations? Where does the value of an idea lie – in the intent or the execution? The answer may be both, which is what underlies the furore around the I Sea app produced by Grey Singapore’s philanthropic arm, Grey for Good. The app purported to feed its users live images of the Mediterranean, enabling them to spot and report refugees in distress. The app won a bronze in the Promo and Activation category at Cannes Lions, but immediately came under fire from experts who said it didn’t work. It was pulled from Apple’s App Store, and Cannes Lions opened an investigation. Grey for Good’s charity partner, Migrant Offshore Aid Station, said it was "dismayed" and distanced itself from the agency. After almost a fortnight of scrutiny, but before Cannes Lions’ investigation was concluded, Grey Group announced it was returning its bronze Lion. It described the technical experts who uncovered the flaws as "unnamed bloggers", and their scrutiny as "unwarranted, unfair, unrelenting attacks". The defiant statement concluded: "The saying ‘no good deed goes unpunished’ is apt in this case." 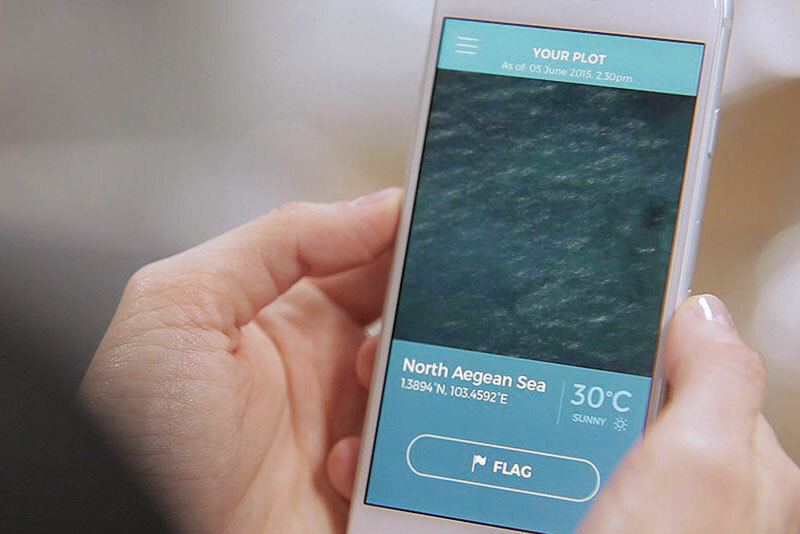 In a (now deleted) June post about the app, Grey Singapore said it was in "testing mode" and that the satellite images of the sea were "not in real-time". Nonetheless, the app landed in the App Store and, in an interview with Wired, Grey Singapore executive creative director Low Jun Jek spoke as though it was up and running. Grey Group more recently claimed the "app is real", all of which suggests it was intended to appear fully functional. Cannes would not comment on whether it was still investigating. 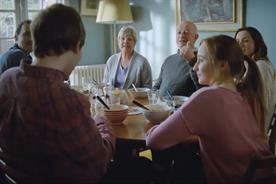 The creative directors on the relevant jury approached by Campaign declined to comment. Asked by Campaign about the process of investigating fakes, Lions Festivals chief executive Philip Thomas said: "We actively encourage all judges to rigorously interrogate the work and question anything that doesn’t seem to add up or feel right. "But it’s important that this is done in a way that doesn’t prejudice the opinions of others, which is why we ask them to raise concerns with the jury president first and allow things to be fully investigated." Fraudulent work could go on to win a Lion before the investigation is concluded, Thomas added. "Our commitment is to a fair process and we’ll take as much time as needed to assess things properly." The saga is the perfect storm of wider issues in the industry – the rise of technology, ethics, the changing role of agencies, transparency and bad taste. Agencies have been feeling the shadow of tech companies at Cannes for some time. It is significant that Google took home the Innovation Grand Prix for Deepmind. 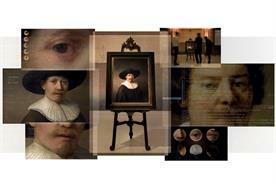 Over in the Cyber category, another machine-learning project scooped the top prize: JWT Amsterdam’s "The Next Rembrandt". For Cyber Lions jury member Victoria Buchanan, joint executive creative director of Tribal Worldwide London, the rise of technical entries means that, despite being a creative festival, Cannes Lions may have to inject greater tech expertise into juries. "It’s quite a big shift," she said. "If cyber work creeps into all the categories, you will start seeing this problem popping up all over the place." The jury of the Promo and Activation category, where I Sea won, almost exclusively comprised creatives. "Maybe it’s a case that they need to control this kind of work, and create the right jury, because unless you’ve got the right people, you’re going to make mistakes," Buchanan added. The problem is not just technical, she said, but about separating cause from execution. The Cyber jury made sure it wasn’t distracted into awarding a Lion based on an entry’s worthiness alone. "It was really sickening, how many people exploited social purpose to put work on the table," she said. "We discussed it a lot and had to separate the execution from the charity. The ‘fake’ work just fell apart." For Buchanan, even the idea of spying on migrants should never have been signed off. Culturally, agencies may not be inclined to share their creative "secret sauce". But the technical community that exposed Grey’s app thrives on open sharing, as do big players such as Google. JWT Amsterdam innovation director Emmanuel Flores, asked by Campaign how he might deal with questions over "The Next Rembrandt", agrees that "code and processes" should be transparent, and described open sourcing as a "beautiful concept". Though "The Next Rembrandt" project code needs tidying up before it can be released, this is something he is keen to do, not least for "credibility". Despite his success and attitude to transparency, Flores is not keen to see Cannes turn into a developer conference: "If an idea is good, but the implementation is not there, does the idea lose quality?" 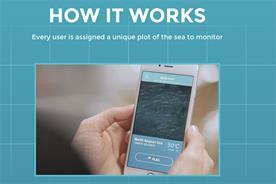 While the developers who called out the I Sea app may say different, perhaps the answer isn’t in binary. "It was clear they used Google Maps," Keller said. "It would have been wrong because Google Maps doesn’t update satellite imagery very often. Maybe once every 18 months." Keller did further detective work to pin down when exactly the Google Maps imagery had been taken. Google Maps doesn’t supply this information, but its heftier brother Google Earth does. The two services are powered by the same satellite imagery, but Google Earth offers users more detail. Since Keller knew the GPS co-ordinates of the area he was viewing on the app, he typed these into Google Earth to determine when the latest images had been taken. "It turns out Google has absolutely zero satellite imagery for that region," said Keller. "Google only has topographic maps of the Mediterranean Sea. So even if it wanted to, Grey was unable to use images from Google Maps in I Sea." In short, Google’s never taken satellite imagery of the area Grey for Good claimed to be investigating. Another "red flag" to Keller was the fact that I Sea gave the weather for the region. Why was this necessary, and where was the data coming from? Keller ran a programme that told him the I Sea weather data for the Mediterranean Sea was coming from Weather Underground. "If you view the URL (it’s plain text), you can see it’s the weather for Misurata, Libya. Misurata is quite far from the location in the Mediterranean Sea – it just happens to be the closest location with a weather station to the correct location." "The only element of the app that worked was the donate button. It correctly opened," said Keller. "Nothing else worked at all." The tech community is not a natural ally of advertisers, and Grey’s attitude towards those uncovering the flaws in its app provoked further suspicion. "As this app was advertised as helping refugees, the fact [Grey would] dismiss people that caught the hoax infuriated me," said Keller.